What’s the best way to bond with your teammates, show team spirit, track your progress, and please your coaches? Swim in all the meets! In this post I’ll walk you through how to indicate your attendance in this season’s meets. And you’ll even see how to view your results in last season’s meets! 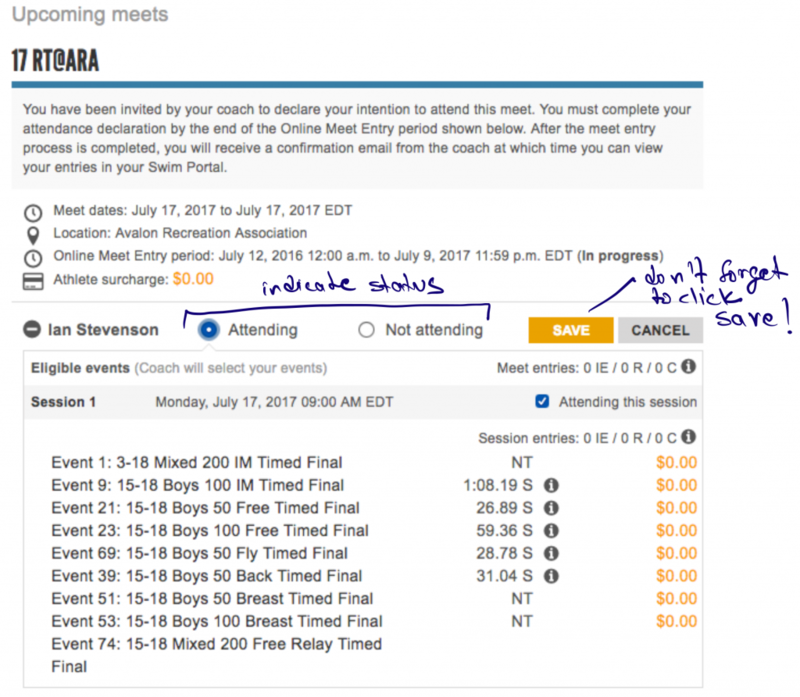 It is very important that you indicate your availability for each meet (and to try to be at each one!). To do so, go to Your Swim Portal (the link is in the right sidebar of the swim team home page) and you will see something like the image below. After clicking on “View Meets” you will be presented with an image like the one below. Indicate your attendance for each upcoming meet and don’t forget to click “Save” for each one. You can change your attendance status for a meet by returning to the page, up through the Sunday before each meet; after that you will need to email me to change your attendance status. 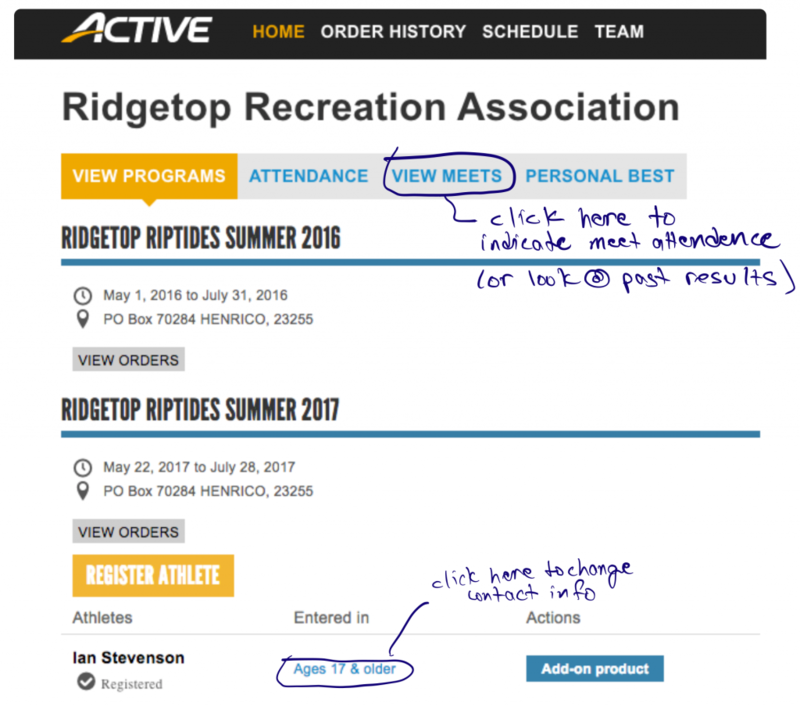 Notice that if you swam for Ridgetop last season, all your results should be visible if you scroll down to previous meets. Pretty cool!